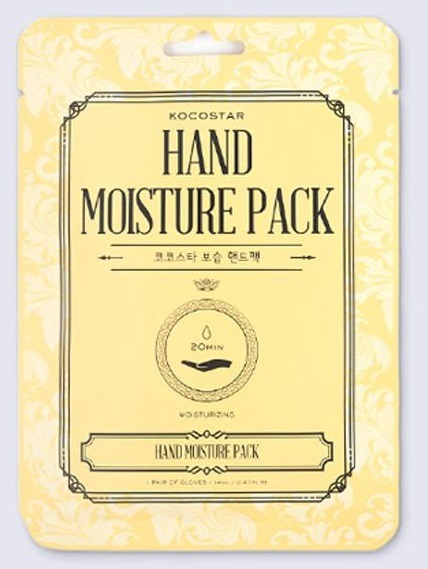 KOCOSTAR’s Hand Moisture Pack beautifully designed floral hand gloves moisturize and calm your hands with amazing ingredients. The special waterproof fabric keeps the rich essence from leaving the gloves. The gloves do not provide inconvenience from doing everyday things such as using your smartphone, computer, reading books, and exercising. However, I think while using the gloves it is best to sit back and relax. Let the mask do its job and let your hands become like soft, beautifully smelling gloves. Wash your hand thoroughly and remove the provided hand pack from the pouch. Remove the adhesive ring sticker to fix on the wrist. After 20 minutes, remove the gloves and gently massage the excess serum into skin. Do not rinse, one time use, throw gloves away after use. After using hands will become incredibly soft and moisturized. They will have moisture in them and will feel incredibly soft and hydrated. Your hands will continue to feel this way as long as you take care of them, keeping them moisturized, out of water and out of the cold. 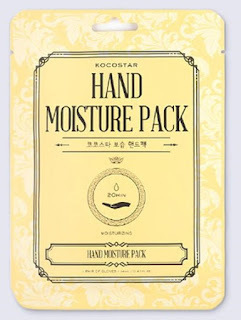 Kocostar Hand Moisture Pack retails for $5.00 and can be purchased online at www.kocostarusa.com. Like Kocostar on Facebook: https://www.facebook.com/kocostarusa/; Follow Kocostar on Pinterest: https://www.pinterest.com/kocostar/ and Follow Kocostar on Instagram: https://instagram.com/kocostarusa.